This article is provided as a general guide to things to look for, things to avoid and do’s and don’ts of buying a business in Spain. 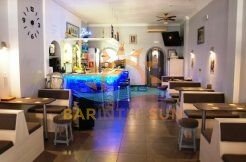 Bar in the Sun have many years experience in the bar industry in Spain and the commercial property market in Spain, therefore we have a wealth of knowledge and expertise which we are able to pass onto our clients. Many people think that running a bar in Spain is difficult, but in reality, it is NOT, it is much easier to run bars in Spain than the UK. We are here to make sure that your investment is the right one for you. When you instruct Bar in the Sun to act as your agents in buying a business in Spain there is absolutely NO cost to you as we earn our commission from the person selling the bar. 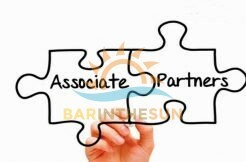 We will give you our undivided attention and our honest opinion every step of the way and we have many satisfied clients and we would be happy to introduce you to them in order for them to pass on their experiences with the team at Bar in the Sun. We offer an after sales service like no other, we will spend time with you in your new bar on the Costa del Sol to enable you to familiarise yourselves with the new surroundings, advise and support with suppliers in order to get you the best possible deals. Our Solicitors and legal team have many years experience in dealing with commercial legalities (including Spanish contracts and opening licences) thus ensuring a problem free purchase of your commercial property in Spain. Although there is a fee payable to our Solicitors, one of our sales team would be happy to discuss the cost of this service and any further information you may require. Our reputation is impeccable and we value all of our clients, regardless of their budget, which is why we are one of the most successful commercial property agencies on the Costa del Sol, so why not give one of the team a call and they will be happy to help you find the most suitable business for you. When buying a business in Spain, we are the agents you need.